They came together in August 1914.Young farmers, clerks, teachers and tradespeople answering the call in the promising young colony of South Australia.The birth of the 10th Battalion, the Adelaide Rifles, but today we remember them as ‘The Fighting 10th’. They had barely got their boots on before they found themselves on a troop ship bound for what they believed was England. It was a far cry from a luxury cruise but for the many young wide-eyed South Aussies, it was an adventure. An adventure that ultimately took them, not to England, but to the most 'foreign' place imaginable…Egypt. There they trained, trained and trained some more in the shadows of the Pyramids. It was tedious and debilitating and only their new-found mates and burgeoning Anzac spirit keep their shoulders straight and eyes looking to the coming challenge. After months of intense training and suffering the dust and flies in the desert sands of Egypt, their orders finally came through. 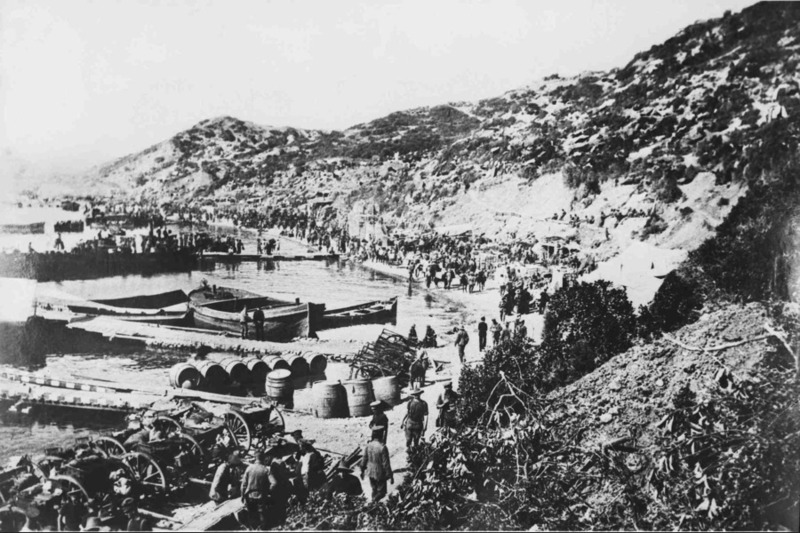 The 3rd Brigade had been chosen to be the covering force for the now legendary landing and so the 10th Battalion along with the 9th Battalion would be the first to set foot on an unknown beach in an unknown cove now called ANZAC Cove. If any of them harboured romantic visions of war, dawn on that day would have shattered them. It was a cacophony of noise they had never before experienced, with men screaming and orders being barked. With heavy equipment and often wet, leaden clothing and boots, every man that could staggered ashore in order to scale the mean, barren cliffs to a well-prepared enemy on the cliff-tops. Fifty men never saw the sun set on that first long, horrific day. Fifty mothers and fathers would soon receive the worst possible news. Fifty families had a limb of their family tree severed completely. While national history was made that day, too much personal history remains unfulfilled because of the sacrifices of all these men, especially the younger ones. So today as we remember the enormity of the sacrifices over the past 100 years, take a moment to remember these Fifty men of the 10th from Broken Hill and South Australia as well as more brave locals who landed with the 11th and 12th Battalions and shared the same fate. Using a Smartphone or Tablet? MAKE YOUR OWN 'APP'! Bingo - you have the RSLVWM 'App' so it's at your fingertips. NOTE: This site is not compatable with Internet Explorer 9 or below, web browsers.